Forgot password? Email it to me! Not a Registered User? Register Now! Sign-up for our newsletter Now! Sign-up for News and Information! You probably hear this every fall, “It’s cold and flu season, make sure you get your flu shot!”. A lot of people refuse to get any vaccinations in fear that they do more harm than good, but other people swear by them. According to CDC (Centers for Disease Control and Prevention), Everyone over the age of 6 months should get a flu shot, but you should know all of the pro and con facts before making the decision to get a flu shot. Each year a flu vaccine is designed to target the viruses that are expected to be the most common that particular season. Flu season starts as early as September and can last as late as spring. It is recommended to get your vaccine early in the season, but it is never too late to get your shot and lower your risk for severe flu illness. You may have heard this a lot throughout the years that the flu shot contains the live virus and it makes you sick anyway. Though it is true that the shot contains the live flu virus, the vaccine is made from a seriously weakened form of the flu virus, which cannot give you influenza. You don’t have to get pricked! This is music to any Trypanophobic’s (fear of needles/injections) ears! There's a nasal spray flu vaccine that's just as effective as the injection. It's approved for healthy people between the ages of 2 and 49, so no more meltdowns at the doctor’s office with your kids. In Canada, flu shots are available at no cost to the public through their primary care provider, public health unit clinics, and pharmacies. They are also provided in long-term care homes, hospitals, community health centres and some workplaces. It’s better to get it sooner than later, prolonging it might risk you getting the flu and having to use your sick days. According to recent studies by the CDC, getting a flu shot during the flu season can reduce the risk of getting sick with the flu by about 50-60%. If you are allergic to eggs, then the flu shot may not be for you. The flu vaccine is cultivated inside of chicken eggs. If you are thinking about getting your flu shot make sure you ask your doctor if it is safe for you to get it if you have an allergy. Just because you get a flu shot, doesn’t mean you are in the clear unfortunately. It is just a preventative measure that gives you extra protection against getting sick. It takes about 2 weeks for the vaccine to really kick in. 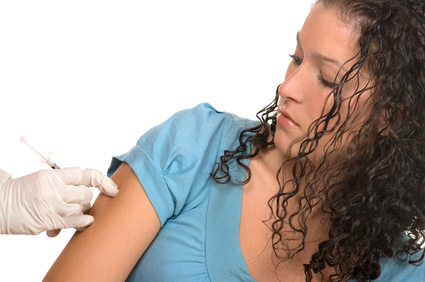 A seasonal flu shot has small amounts of mercury added as a preservative. Mercury has been linked to certain brain and nerve disorders. That fact alone may make those who are on-the-fence about getting the shot uneasy. Some people develop symptoms ranging from soreness and swelling at the area of injection to low-grade fevers and achiness. The good news is that these symptoms generally clear up within a day or two. Not all flu shots are right for pregnant women, but there are different vaccine options that may work for you. Talk to your doctor and see what would be best and safest for you and your baby.